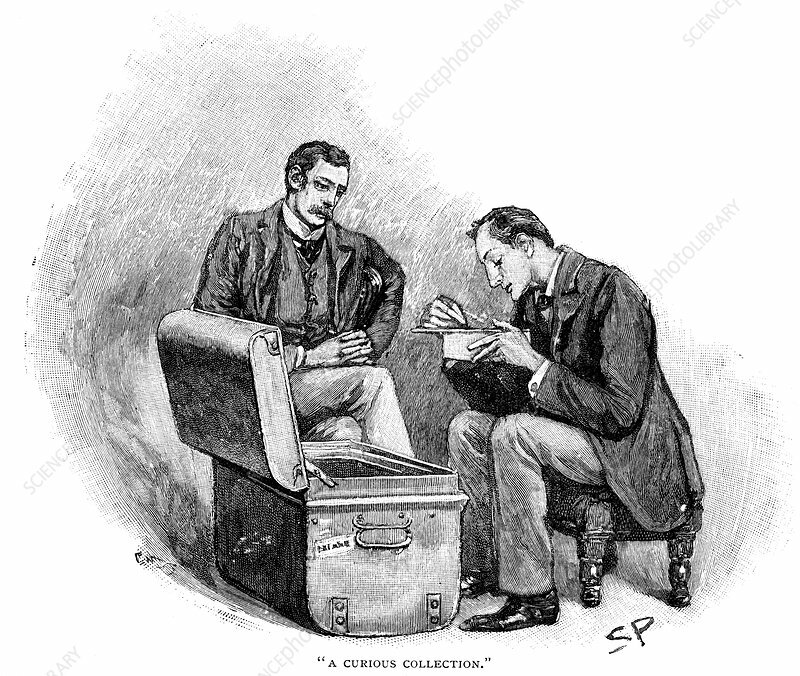 The Adventure of the Musgrave Ritual: Dr Watson watching Sherlock Holmes going through the mementoes of his old cases. Illustration by Sidney E. Page, the first artist to draw Sherlock Holmes, for the story published in The Strand Magazine, London. Artist: Sidney E Paget.